Replication and synchronisation technologies have become a key component to network infrastructures, allowing IT Staffs to effectively protect, distribute, and share information between various hardware. SureSync is a cost-effective data management solution that provides you with flexible and reliable file synchronisation and replication. Whether you need to synchronise files between PC's or multiple servers, SureSync will help you get the task done. Founded in 2002 by Nezzen Systems out of Gaithersburg, Maryland, Idealstor was created to provide customers with a fresh and value-driven solution for their backup storage needs. The challenge of storing, maintaining, backing up and recovering that important data is becoming extremely complex and expensive. Besides managing data storage and growth one cannot ignore performance, integrity, and scalability to keep things humming smoothly. Idealstor’s comprehensive suite of affordable storage solutions provide all the required components that not only provide flexibility, performance, scalability and protection, but also keeps things simple and hassle free. A solat not only scales in capacity but also in performance. that extends the life of your existing storage. that keeps your business running in the event of a disaster. Automating your service department with Miracle Service will make it more efficient and profitable. Even small time savings from improving your dispatcher and technician productivity adds up to thousands of pounds in increased efficiency. Miracle Service is modular so you only pay for what you need. Start with just the features that you require today and easily add new ones as your company grows. Miracle Service has been designed using modular programming techniques. It comes 'out of the box' with a set of modules provided for the most common requirements of service organisations. You can build on these, however, with optional modules which can be integrated into the application environment, and provide you with expanded solutions for your servicing needs. Since 1996, TNT Software, Inc. has developed solutions to support the reliability and security of the Windows platform. These tools eventually became the foundation of TNT Software. ELM Enterprise Manager elevates Windows event log monitoring to real-time. Events logs are reliably collected seconds after they are written. The data, including the detail text, is transmitted by local Agents to the ELM Server. From there, it is securely inserted in a MS SQL database. OVELIANE, offers IT security solutions, has an extensive expertise in the design of servers and workstations security solutions. OSE solutions are used by large customers in industry, banking / insurance, administration and services sectors. OVELIANE was granted the France CyberSecurity certification for OSE solution. The current security environment is very tense, the attackers, creative and stubborn, regularly find ways to circumvent prevention technologies implemented by IT security teams. Most attacks in particular APTs, have similar effects on their target: connections on the server, privilege elevation, account creation, then addition or change of configuration. Therefore, the absence of monitoring of the servers will have dramatic consequences! Born in 1993 from an idea by three friends, Objectif Lune now has over 240 employees worldwide, serving over 20 000 organizations, who all want to bring their customer communications to the next level. With technical support around the world and 3 R&D facilities in Montreal, The Netherlands, and Australia, we work hard to make lives easier. Best suited for commercial output, corporate output and IT & system integration markets, Objectif Lune’s portfolio consists of three main product lines : PrintShop Mail, PlanetPress and PReS. Covering the entire spectrum from entry-level to enterprise applications, our products have the ability to grow with our users' needs. Open Seas specialise in business systems from around the world. As a bridge between customers and suppliers, we aim to find the best technical solutions to meet your business needs. Smart Protection Network, a cloud-client content security infrastructure that delivers global threat intelligence to protect customers from online threats, such as data stealing malware, phishing attacks, and other web, email, and mobile threats. Microsoft Corporation is an American multinational technology company , that develops, manufactures, licenses, supports and sells computer software, consumer electronics and personal computers and services. 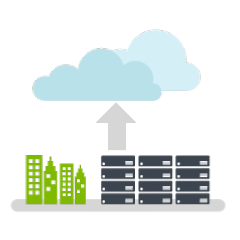 The Microsoft Cloud is a secure solution that can listen, learn and predict, turning data into actionable insight that enhances business opportunities.